Hexathron Racing Systems offers 360° support in motorsport and automotive for every team, every company, drivers and manufacturers who are looking for professional and international experience. Our services range between support during race weekend to project, develop and test components both for race and road cars; we can also supply home or professional driving systems for different kind of use. Our professional driving simulator is one of the most appreciated in Europe. Race Engineers for every kind of racing car, development programmes or technical support during races for teams which take part in every series. Data analysis support using the most important softwares like 2D WinaRace, Magneti Marelli WinTax, Bosch Darab, Cosworth Pi, AiM, Motec i2. 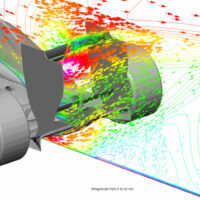 3D modeling of mechanics and aerodynamics components for both race and road cars using CAD software. After the realization of 3D model, the part will be delivered to production. Thank to certified partners, we can also produce all parts you need, projected or not by us. In add, together ARC-Team Engineering, we are able to develop specific components for driving simulators, both for home entertainment and for professional use. 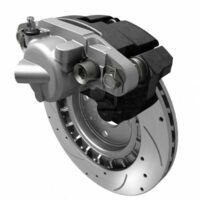 Use of Finite Elements Method (FEM) analysis for mechanical components both of race and road cars. FEM structural analysis can offer a prediction of the working conditions of a component under the action of different kind of forces. After the 3D model is ready, the component we have to create a correct mesh that allow to a correct calculation of tensions, deformations and movements along the part. With this analyse we have a better times and costs optimization on the overall design and of the tests for structural checks because we have at the beginning an efficient and correct numeric solution. Computational fluid dynamics, usually abbreviated as CFD, is a branch of fluid mechanics that uses numerical methods and algorithms to solve and analyze problems that involve fluid flows. Computers are used to perform the calculations required to simulate the interaction of liquids and gases with surfaces defined by boundary conditions. With high-speed supercomputers, better solutions can be achieved. Ongoing research yields software that improves the accuracy and speed of complex simulation scenarios such as transonic or turbulent flows. Initial experimental validation of such software is performed using a wind tunnel with the final validation coming in full-scale testing. 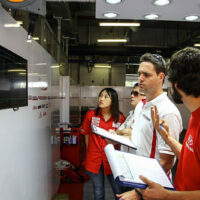 Hexathron Racing Systems organizes dedicated course for everyone who wants to become Race Engineer. 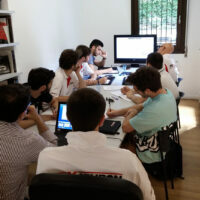 Over 40 hours of lessons held by professionists of motorsport with specific arguments, experience on track and simulator. A unique opportunity to meet the racing world from engineering side, to know and discover the secrets of a winning car. 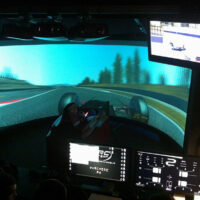 Development of physic or mathematic models for race or road cars on our professional driving simulator. We can reproduce many different driving conditions (qualify, race, pit-stop, etc…) as well as different set-up regulations on the car. We can also provide on-site racing simulators also during race weekends for driver’s coaching with many features like data analysis and dedicated engineer. 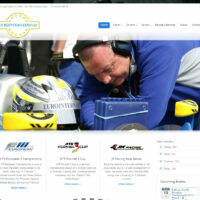 Hexathron Racing Systems realizes modern websites dedicated to motorsport and automotive world for companies, teams, drivers, magazines and much more. We can supply a full package of services including maintenance and upgrading of existing websites. Press office services both for national and international series with press releases before and after each race plus press review at the end of the year. Managing, optimization and visibility increase on social networks like Facebook, Twitter, YouTube, Instagram, Google+ and Linkedin. Web-marketing campaigns with defined targets and crossposting. Hexathron Racing Systems provides a 360° support for drivers inside and outside racetrack from logistics (travels, bookings, sportive support) to data and results analyse both during race weekends and between events. We offer a professional debrief programme with professional staff for a super-partes and expert advice. We can manage the HRS Drivers Training System: a personalized programme that include driver’s coaching with instructor in addition to training sessions on our professional driving simulator (useful for new tracks learning, new cars and commands learning, etc).